Well, given the end of last week’s episode, the “attaining peace” part of this ending was somewhat inevitable. I wasn’t entirely sure whether all of the three protagonists survived, but given the ending of the first half, it made sense that they would. I feel like killing Slaine after he had descended so much from the first half is reminiscent of Light Yagami (which wasn’t a fun time). It usually makes more sense to give him a chance at redemption. I’m definitely glad that Slaine and Inaho got a chance at a formal battle at the very end (though it seemed fairly one-sided for the most part). Anyway, I certainly had a lot of fun with this series…granted, it may have been at the expense of the other people watching it, but I’ll take what I can get, right? But now that this show is completely done, I really only have one more question left to ask. What exactly did Marito do? It looks like Asseylum has finally decided to do something useful for the first time in the second of the show. Also for the first time in the show, the three protagonists can stand somewhat equal with their own forces in combat. I do have a random question, though, now that we’re near the end of the series. Was Slaine’s father ever supposed to be relevant to this series? It feels like he was mentioned a lot in the first half, so it’s strange to see that he never really comes up again. 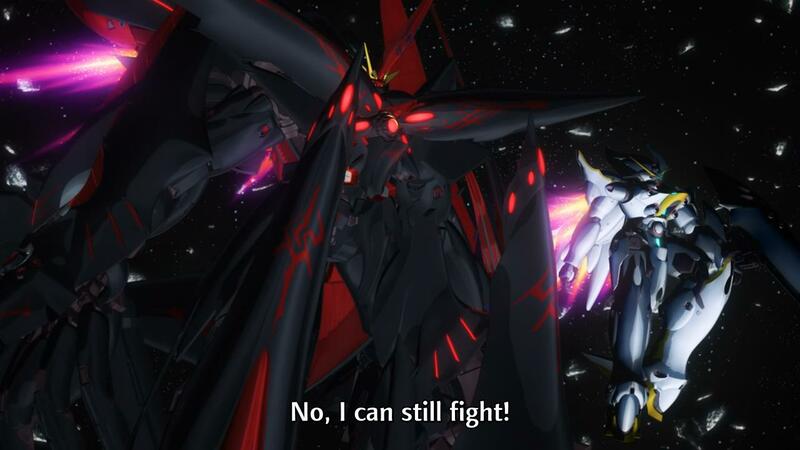 Next week should finish up this series in one final battle…I’m assuming there should also be one last battle between Inaho and Slaine to really complete everything. Given how their last battle went, it’s one I’m actually kinda looking forward to watching. Now we just need to see how many of these protagonists will be surviving the final episode this time. My vote is all or nothing. 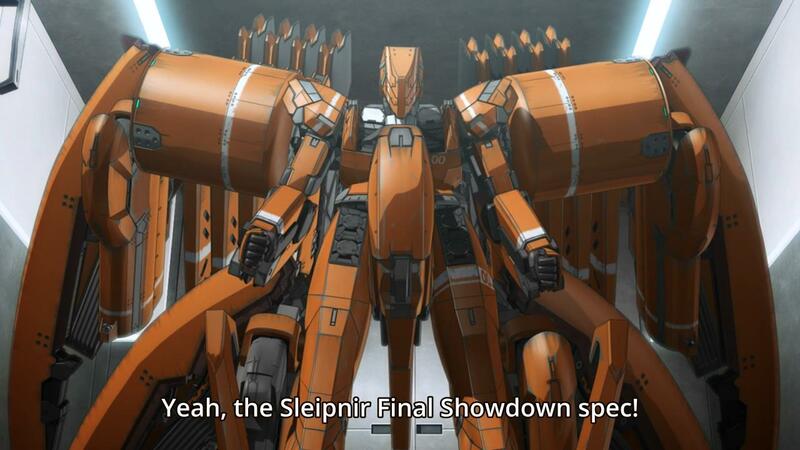 Aldnoah.Zero S2 Episode 22: Getting even more robotic, Inaho? Looks like Inaho and Slaine are both incapable of hitting a moving target with a point-blank shot, but let’s move on. As usual, Inaho decides to handle things on his own…I’ve been assuming up to now that the pain he experiences in his eye was some sort of overheat from using the functionality too much. I suppose it’s still the most likely explanation, but it’s interesting just how much the eye can do. Inaho built it, right? I’m assuming this Moon battle will be the final battle at least for this season (an ending for the entire series as well?). I’m curious what the significance of Klancain’s meeting up with the princess will be. She shouldn’t know anything about his father’s death…I suppose she might reveal Slaine’s plan, though, and recruit him as a double agent (I assume he has Slaine’s trust). 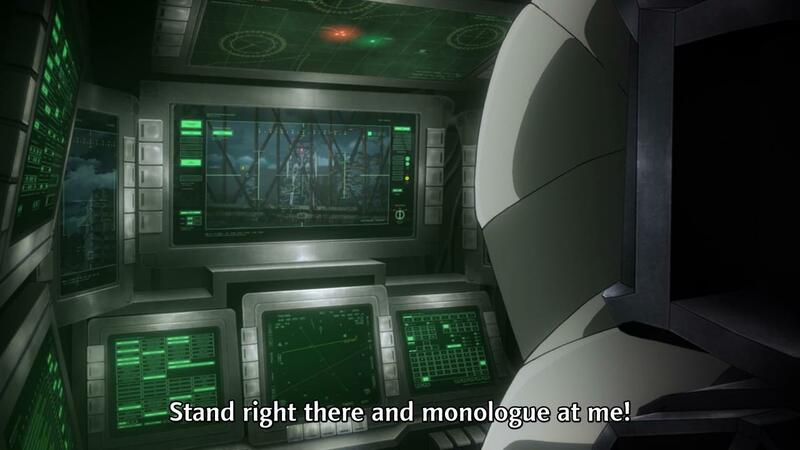 Author marthaurionPosted on March 15, 2015 Categories Aldnoah.ZeroTags aldnoah, martians2 Comments on Aldnoah.Zero S2 Episode 22: Getting even more robotic, Inaho? Well, the Earth side of the battle seems to be progressing smoothly, with the unbeatable Inaho remaining so. On the Martian side, Asseylum has learned how twisted Slaine has become and will probably continue to stand against him. I’m not entirely sure how Slaine intends to move forward with his vision of the new world now that he no longer has Lemrina’s support either…well, I guess he could use force. It sounds like the Deucalion is headed to space to fight again. Is it time for the final battle? I could certainly see it spanning at least a couple of episodes. Also, I really don’t know if I like the introduction of Cruhteo’s son when we’re this close to the end of the series. Normally it would be fine for a minor character, but he seems like the type of character that should have an impact on the ending (vengeance for his father or something like that). I guess we’ll see. Has Asseylum’s memory returned already? I guess we’re getting into the final episodes, so I shouldn’t be too surprised, but it almost makes the memory loss unnecessary. Also, it feels like Slaine is a walking flag dispenser. When he talked about the impossibility symbolized by the blue rose, the princess awoke. Now when he’s praying that she never regains her memory, her memory returns. That guy is literally Murphy’s Law incarnate. It’s also funny because his Kataphrakt gives him the ability to see into the future. So what will Asseylum do now that she remembers her “death”? Will she confront Slaine with the knowledge or keep it to herself to figure out what’s going on around her? She doesn’t seem the deceptive type, but I would personally prefer that she keep it to herself. I guess we’ll find out next week, though. There were a couple of more interesting scenes this week. The first was the scene with Inaho clutching his eye in pain. A downside of using it too much or a cost for having the eye in the first place? The other was the final scene with Lemrina. While she was shocked to find the empty tube, it almost looked like she realized something at the very end. Maybe she knows that Slaine betrayed her? Aldnoah.Zero S2 Episode 19: She’s awake! Well, that’s no fun. If Asseylum is just going to lose her memories of everything that happened on Earth, then what’s the point of waking her up? It doesn’t even seem like she exerts any influence on the story in this scenario. Maybe she puts a bit of a rift between Slaine and Lemrina, but other than that, Slaine seems to be doing the same thing. I don’t think this bodes well for how this show will end, but I guess we’ll have to see. Did anyone else find the end of this week’s episode hilarious? The fact that the Earth forces are so used to overwhelming the Martian Kataphrakts with a combinations of numbers and Inaho’s strategies that it becomes revolutionary to have to fight more than one Kataphrakt. Anyway, it should make next week’s fight more interesting. Random side note: they’re really trying to push the Odin thing with Inaho, huh? That one moment made it seem like he somehow sensed that Asseylum was awake. Author marthaurionPosted on February 22, 2015 Categories Aldnoah.ZeroTags aldnoah, martiansLeave a comment on Aldnoah.Zero S2 Episode 19: She’s awake! She finally wakes up! Well, after all of that talk of blue roses and the impossible, I was honestly sitting there saying “Asseylum better wake up right now”. They almost didn’t make it. As for the duel between Slaine and the other Orbital Knight, I don’t really have all too much to say about that. I get that it was part of his plan, but I wouldn’t be surprised if he went overboard and pissed off the wrong people for the future. 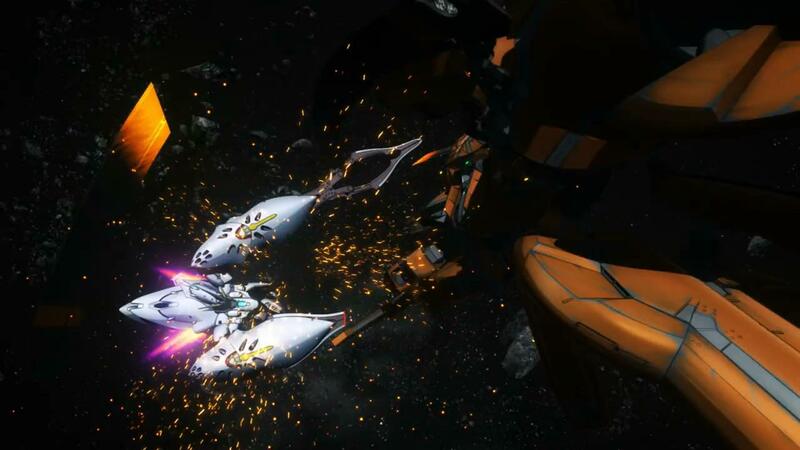 On the Terran side, I know they’re trying to retake their home planet and all, but their battles just feel so “thrown in” at this point…almost like they don’t really matter. So is Asseylum really back or was this just a tease at the end of this week’s episode? I really hope she wakes up since she is a main character and her influence on the story at this point would probably be interesting. So many things have been done in her name that would probably make her upset, so she’s probably the wrench that needs to be thrown in to stir things up. Aldnoah.Zero S2 Episode 17: Martian ally? It looks like Inaho is helping with the unrest in the Orbital Knights by throwing a suspicious Martian back into the mix. 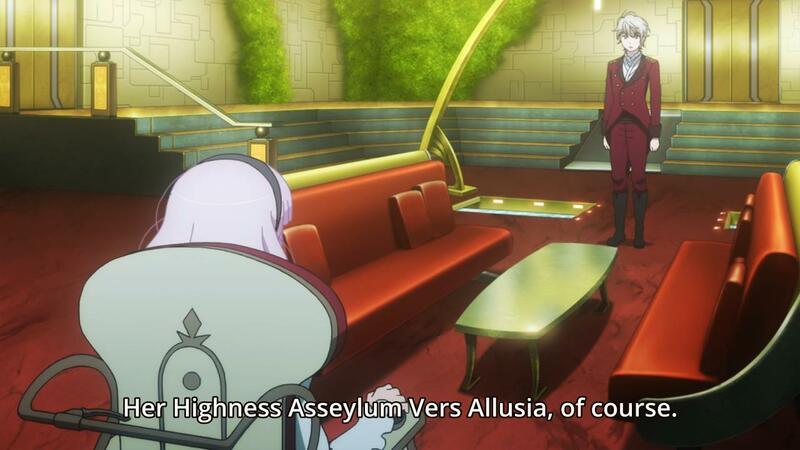 Though, that may not be necessary given that the Orbital Knights were already questioning Slaine’s authority. 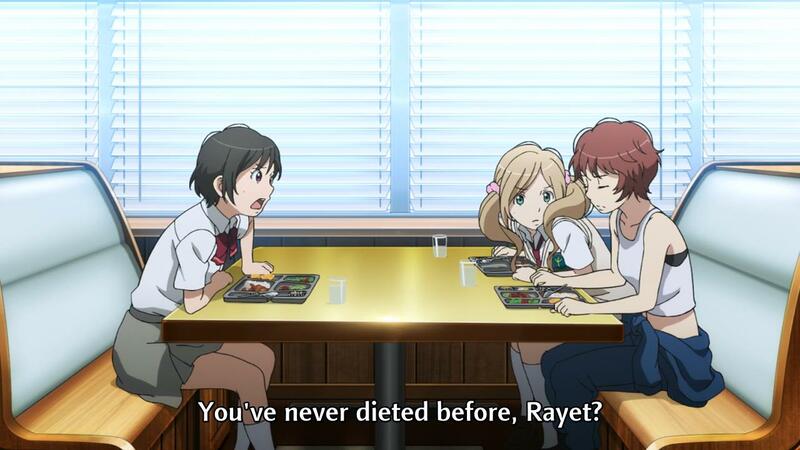 I guess the main point of all of that was befriending Rayet. On Slaine’s side, he’s definitely upped the creepy with the bird talk next to Asseylum’s body. What could he possibly be planning? Author marthaurionPosted on February 8, 2015 Categories Aldnoah.ZeroTags aldnoah, martians1 Comment on Aldnoah.Zero S2 Episode 17: Martian ally? Aldnoah.Zero S2 Episode 16: The gang’s back together? Is this the first time we’ve seen Marito since the series restarted this season? I’ve really stopped paying attention…that being said, it looks like they’re finally going to start trying to make him useful. Given his inability to do anything in the first half of the show, he has a lot of catching up to do. The conversation he had with the doctor this week was worrying. It sounded like they were trying to make PTSD his personal “weapon” of sorts. It looks like Inaho is still analyzing the Tharsis for weaknesses. Honestly, I’d prefer if he doesn’t find anything obvious just yet…I feel like Slaine and Inaho should fight as equals for at least a little while longer, given that they’re both augmented. Maybe that’s just selfish of me. 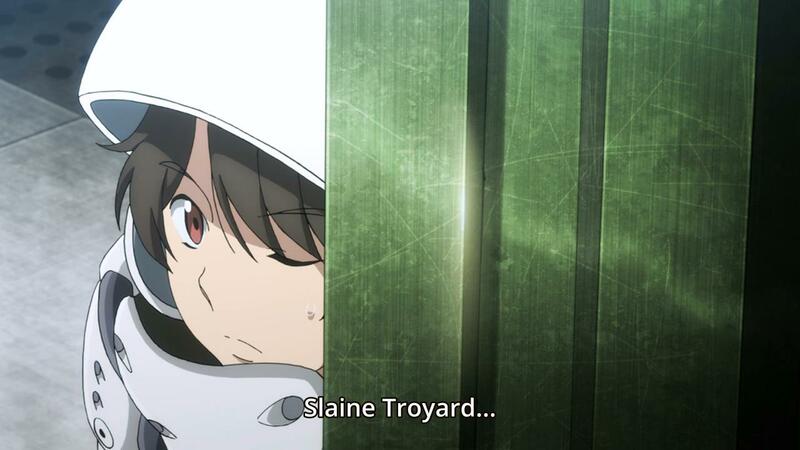 Still curious about Slaine’s plan, though. Is he building up for an eventual betrayal for Vers? Only using them to keep the princess alive? Author marthaurionPosted on February 1, 2015 Categories Aldnoah.ZeroTags aldnoah, martians2 Comments on Aldnoah.Zero S2 Episode 16: The gang’s back together? So Inaho’s not going to be the only calculating one in this show? Slaine’s showing some nice techniques here. I was getting worried…it seemed for a bit like he was just going to let himself get carried by his Kataphrakt’s prediction power. But even that will probably be beaten soon…it looked like Inaho might have roughly figured out what the time limit for the prediction is in this episode’s fight. The Odin reference in this week’s episode actually isn’t that surprising…I’ve seen that reference made before when discussing the first season. However, since my knowledge of Norse mythology is weak, I can’t really infer too much from it. Maybe I should read up. Anyway, I assume the other Orbital Knights won’t let Slaine get away with replacing Saazbaum so easily…surely they must question the timing, right?